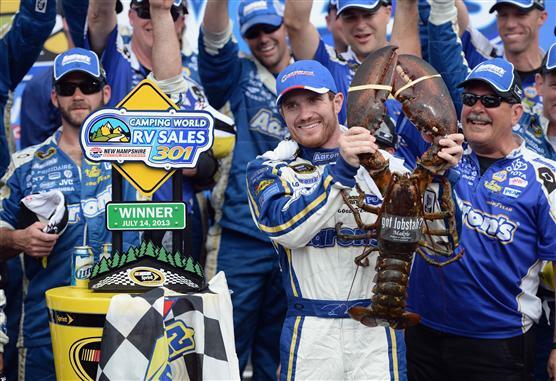 After four years of health scares and unemployment put his career in doubt, Brian Vickers earned redemption by being the surprise winner at New Hampshire Motor Speedway. Not bad for a part-time driver. Vickers drives a part-time schedule for Michael Waltrip Racing and shares the No. 55 Toyota with Waltrip and Mark Martin. This is a true, feel-good story. Next Article » Kids Contest: Can you draw NASCAR?